Areas of the Don Valley between Sheffield and Rotherham have been shortlisted for a Government initiative to make it easier and quicker to build new homes on brownfield land. The Government believes that there is enough brownfield land to provide up to 200,000 new homes and ministers expect to see planning permissions covering 90% of this land to be in place by 2020. As part of that, the government plans to create ten flagship housing zones across the country outside of London – complementing a further 20 zones inside the Capital. A bid led by Sheffield City Council has been named on a shortlist of 29 potential housing zones looking to get a slice of £200m in reocoverable loans from the government to "unlock" schemes on brownfield land that could be ready to go but are being held back by the high upfront capital that is needed. Housing Zones would be able to access a combination of long term investment funding, planning simplification (e.g. local development orders), local authority leadership, dedicated brokerage support from central government and ATLAS planning support. Local authorities who submit successful proposals for Housing Zones will also have access to cheaper borrowing from the Public Works Loan Board. Andy Rose, chief executive of the Homes and Communities Agency, said: "Housing Zones are an opportunity to unlock redundant brownfield land with the potential to provide viable housing developments. So I am pleased to see the projects shortlisted under our programme, which will contribute to much-needed new homes and successful places." Sheffield and Rotherham councils have a history of joint-working in the Lower Don Valley, the vast area of traditional manufacturing land that links the two economies. Masterplans have been drawn up for infrastructure and flood defences, and transports projects, such as the tram-train and Bus Rapid Transit system, are set to improve links between the two centres. The area includes the ongoing £100m Waverley development, the largest brownfield development in South Yorkshire, where a new community of 4,000 homes along with shops, restaurants, schools, leisure & community facilities and parks is being created. 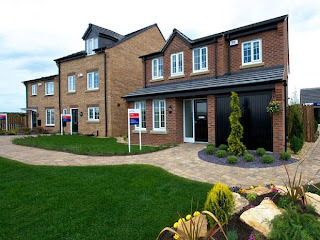 Developers, Harworth Estates has previously secured a £10.95m loan from the Local Infrastructure Fund, which is managed by the Homes and Communities Agency and accelerates the delivery of the infrastructure needed to boost Enterprise Zone schemes and accelerate large-scale housing developments. Areas in the Don Valley are already included in the Government's Enterprise Zone initiative which is helping to unlock commercial development. As part of the recent devolution deal, Sheffield City Region and the Homes and Communities Agency are set to continue to work to identify housing investment priorities and timeframes across the Sheffield City Region to provide a framework for increased public and private investor confidence and for maximising value from national and local public sector land assets. As part of this, Sheffield City Region will publish a pipeline of potential priority schemes and seek public and private investment partners. Work is also taking place with the Government on support for medium-sized developments in the Sheffield City Region that may currently not be eligible for funding but have a viable business case. Rotherham Council has also secured £33,332 from the Government as part of a £5m initiative to provide capacity support for local authorities to enable them to undertake planning, project management and technical activities necessary to bring sites to the point of delivery. Rotherham Council has identified schemes capable of providing at least 1,500 homes, potentially at Waverley or Bassingthorpe Farm, and will now use this funding to speed up the necessary work, enabling homes to be provided sooner than would otherwise be possible.